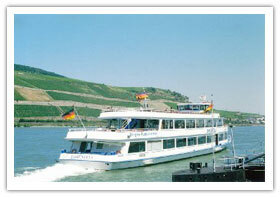 Once you have selected a tour or tour season that is of interest to you, contact Haupt Germany Tours. We will need to know of your interest and then want to help guide you through the next few steps. For example, we will want to advise you as to when to purchase your flight tickets. We want to be sure the total number of travelers is sufficient to make the tour work. This number of travelers needed varies on the tours being offered. The total number of travelers will determine the final per traveler cost for the on-the-ground expenses. 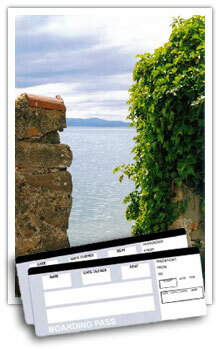 Usually, we will recommend buying your flight tickets approximately two weeks prior to the posted deadline. Although you can handle the purchase of these flight tickets yourself, we recommend you use Starr Travel of Greensboro to help ensure all flight connections are identical. Starr's rates are taken from the Delta website with a small $30.00 ticketing fee. Should you obtain your own flight tickets, we stress the need for you to at least be on the same overseas flights with us. If you are flying out of another US region and can meet us at the lodging location on the first day in Germany, this can be arranged. Should you use a method other than Starr Travel for your tickets, you would need to forward copies of your ticket information to Haupt Germany Tours as confirmation of your desire to join the tour. At the deadline date, we will proceed in making on-the-ground reservations for the group. The on-the-ground costs are determined by the total number of travelers participating in each tour (except for the Bavaria on a Budget tours which have a flat fee for all travelers). Travelers will be advised of this amount once Haupt Germany Tours has received confirmation of their interest and prior to their first payment. Please refer to the individual tours for the current pro-rated scale. Total Cost - Flight Cost = On-the-Ground Cost. Once we have received confirmation of your flight plans, either from Starr Travel or through your mailed copies to Haupt Germany Tours, you will then receive an invoice for approximately one half of the on-the-ground expenses. This is sent by e-mail but can be mailed if this is your preference. This first half payment will be based on the number of travelers in this particular tour by the deadline date based on communications with Starr Travel and the travelers' confirmations. The final amount for the on-the-ground expenses for lodging, ground transportation, food, and admissions will be based by the US Dollar to Euro exchange rate at the time of the second half payment to Haupt Germany Tours. This payment may be slightly more or slightly less than the first half payment. The second payment will also be adjusted if additional travelers have joined the tour or if travelers have withdrawn from the tour. The two payments are usually three weeks to one month apart. For Non-US Citizens that desire to join our tours in Germany, a bank-to-bank transfer/payment involving Euros (or other currency) is acceptable. Communicate with Ray Haupt by e-mail at least two weeks prior to payment due dates for details. 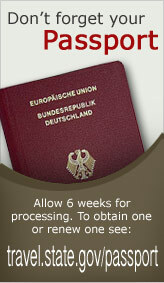 Transfer of funds must occur and be in Haupt Germany Tours account by due dates. Approximately two weeks prior to departure, Haupt Germany Tours will then convert the collected US Dollars to Euros. All payments with vendors for lodging, ground trans., and admissions will then be paid by Haupt Germany Tours. The traveler can anticipate 20.00 Euro (average) per day for food. Breakfasts are included with lodging costs. Two evening meals will be provided from fees collected.